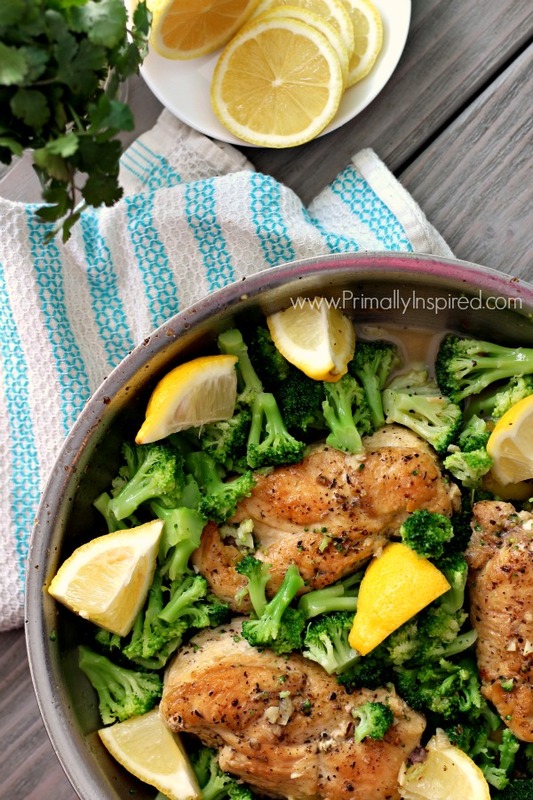 Try this easy weeknight lemon chicken skillet with broccoli recipe! 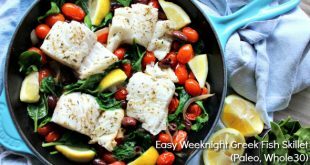 Full of delicious lemon and garlic flavor – you’re sure to love the pan sauce, too! One meal, one pan! Golden brown chicken breasts simmer away in a delicious lemon garlic pan sauce while you’re house is filled with that delightfully fresh lemon aroma. 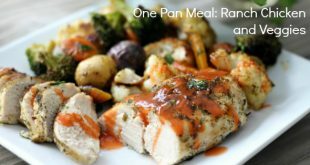 One pan, one meal! And super healthy, too. That’s what I’m talking about! For those familiar with my recipes, you know I’m all about easy. And flavor. And this dish is no exception. Easy, flavorful, delicious. A winner! 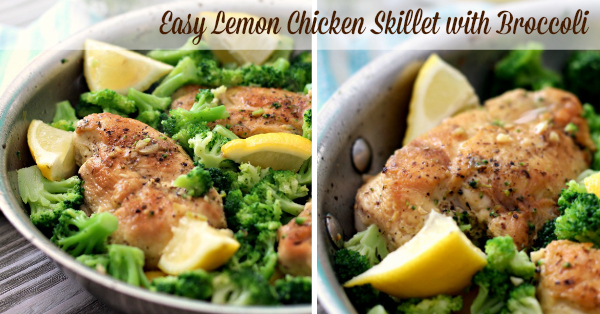 So have have fun with this Lemon chicken Skillet recipe. Tweak it to fit your needs. Add different veggies. Top it with a sprinkle of parmesan or Romano cheese (SO good – try it!). Try adding some fresh basil at the end. You get the idea. Just have fun and enjoy! 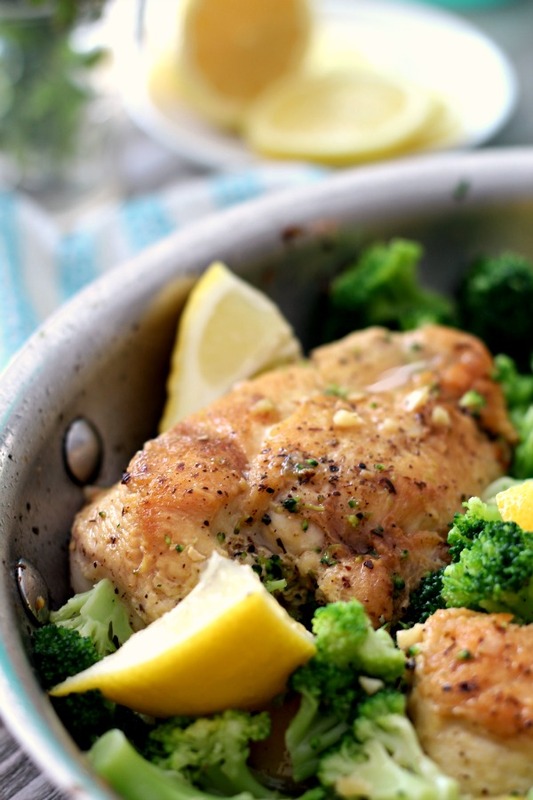 Easy weeknight lemon chicken skillet with broccoli and a delightful garlic lemon pan sauce! Heat your oil in a skillet over medium heat. Sprinkle sea salt, pepper and Italian seasoning on each side of the chicken. Once your skillet is hot, add your chicken breasts. Brown for about 4 minutes per side or until golden brown. Remove the chicken from the skillet and set aside. Add the chicken broth, lemon juice, minced garlic to the skillet. Stir and scrape up any brown bits that are stuck on the bottom. Add your chicken back to the skillet, along with the used lemon quarters. Simmer the chicken in the sauce for about 5 minutes, turning halfway through. Add your broccoli to the skillet and cook until broccoli is bright green and tender and chicken is cooked through, about 5 additional minutes. Finally, stir in the butter or ghee and add additional sea salt and pepper, to taste. Enjoy! 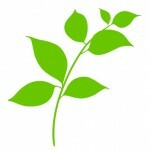 I like this….easy but healthy. Thank you Kelly. What is the weight roughly of your chicken? I have some huge chicken breasts. Hi Rachel! 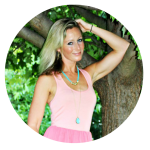 My chicken breasts are usually about 3/4″ – 1″ thick – I would say they are average sized. If yours are bigger, you can pound them thinner or just simmer them in the pan sauce for a few minutes longer. Soooooo good. Made it tonight! Had with some brown rice, it’s delicious. You don’t waste any time, Katherine! haha! So glad to hear you liked it!! I made this last night with mushrooms and broccoli. So easy and delicious. We will definitely add this to our favorites. Makes me so happy to hear, Mindy! So funny…I made something similar last night…chicken breasts marinated in lemon and garlic, broccoli on the side. 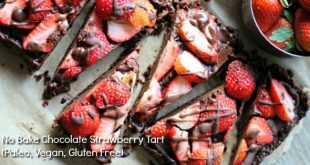 But this sounds even tastier, and love anything that just needs one pan! Will do it your way next time! 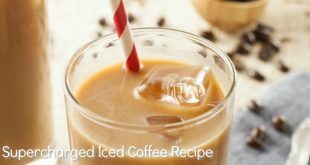 You always have such great, easy and simple recipes! So glad I found your site. Making the chicken tomorrow! Just wanted to say your avocado oil can be purchased at Costco for around $9.00 per bottle. Just bought some. Thanks! I made this a couple of nights ago and it turned out great! So easy and delicious. Thank you for the recipe! So glad you liked it, Tabitha! This was really good. I added mixed mushrooms and rosemary too – found this was a good way to enhance flavor and aroma. Thanks for sharing. Love your idea of adding rosemary! woohoo! Love your idea of the balsamic drizzle! !